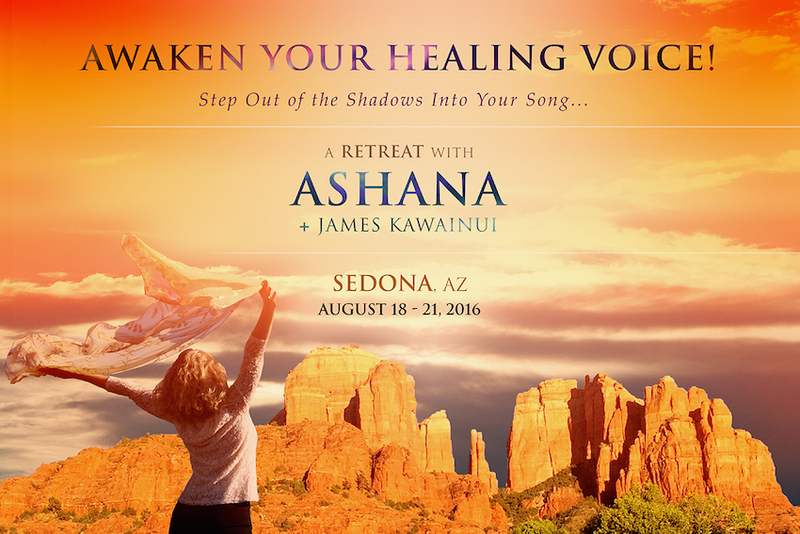 Join sacred vocal chant and master crystal bowl artist, ASHANA & James Kawainui to unleash the healing power of your voice in this transformational retreat located in the magical red rocks of Sedona! Over three star-studded nights and four intimate days, we will be toning, chanting, meditating and hiking as you discover the beauty and sacred medicine of your own healing voice. Did you know your voice is one of the most powerful medicines available to you? Did you know that the very sound of your voice can help heal the deepest trauma and release the most stubborn blocks and emotional scars? Did you know that the sound of your own, uniquely beautiful voice can be a healing balm for yourself and others — and open a doorway to your soul? We invite you to join us for a life transforming weekend as we embark on a dynamic journey to Awaken Your Healing Voice. · Any cancellation made in writing between July 1st and August 1st, will result in a cancellation fee of 50% of the trip pricing. Any cancellation made between August 1st, 2016 and the trip start date will result in a total loss of the trip funds. We reserve the right to cancel the trip if it is not meeting the trip minimum. (If we do so your deposit is refunded in full). Trip cancellation insurance is always recommended when making travel plans. You can use our suggested Travel Guard Insurance online and choose from several policy options.